Cesair is a six-person band that blends Classical together with Pop (World) music, giving it a nice Eastern-European feel as they go along. Together, this makes for a unique sounding band. 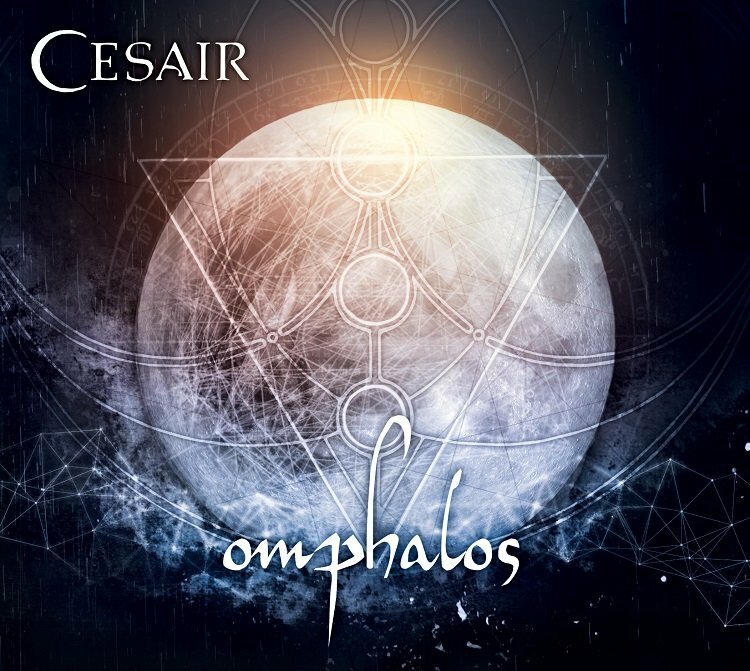 Cesair themselves describe their sound as ‘Epic Folk and Mythic music´. I would say Carl Orf meets Vivaldi meets Rastaban meets Faun equals Cesair. They are one of the few bands that really manage to marry Classical skills with Pop music and get away with it. With Dies, Nox et Omnia Fieke, as a producer, recorder, editor and mixer, gave Cesair a real powerful sound. Just as Carl Orf‘s Carmina Burana blows you away with the bold sounds of a big orchestra playing at full strength, Cesair managed to do the same. The accordion and hurdy-gurdy themselves are already instruments that can fill a room and Fieke made good use of the surround sound to give the whole band a overpowering impact. Hearing the main instruments in front of you, but nice bouzouki and violin accents coming from all sides. Just listen to Cansa and you’ll hear the violin playing in the corner of your ear. Or Graeica where Thomas’ bouzouki is placed in the same way that gave Dies, Nox et Omnia a really big orchestral sound. As most of you will know, Fieke van den Hurk left the band last year to focus on her career as a producer and sound engineer at her Dearworld studio. 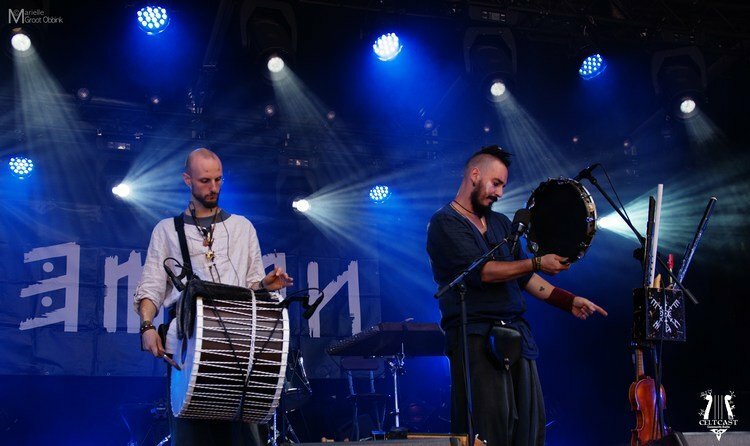 The band was extended with new, but well-experienced band-members Luka Aubri (Rastaban) and Faber Auroch (Sowulo). With this change, there was no way around it… the big question with Cesair‘s second album was: “How would they sound with their new line-up?”. 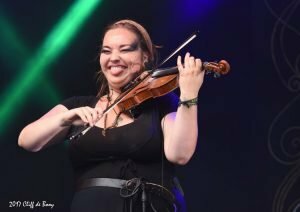 The pre-CD-release concert at Castlefest 2017 sounded very promising. Visually the band was as entertaining as ever. During the concert there was even that bit of ‘Fieke magic’, with her standing in the audience and singer Monique van Deursen and Violinist Sophie Zaaijer goofing with her from off the stage. But what about the album? Well, Fieke is still part of the band on Omphalos! 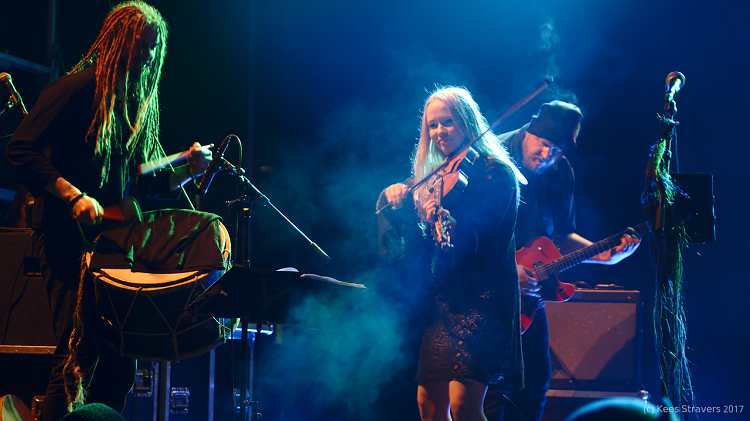 Although saying her formal goodbyes to the audience on stage in March of 2017, with a wonderful concert in the Peppel in Zeist, the band decided Fieke was so involved writing the Omphalos songs that she still deserved to be named as a band-member in the credits, next to new members Luka and Faber. Therefore she says her official goodbyes to us, the fans, with the album Omphalos. A fitting and touching tribute to Fieke from the band, showing how beautiful a friendship in music can be. With this album the band went a different route. This time the mix is more open. Fieke, also producing, recording and mixing this album, plays with the volume in stead of putting up this impressive wall of sound. Listening you can discover little pearls. Lead soloists are pushed forward and supporting instruments are less pronounced in the mix, leading your ear through the music. New band-members Luka and Faber fit well within the music. Fieke took on a more supporting role which made room for my personal highlight on Omphalos: the string section. Both Sophie and Faber play wonderful string melodies. Their solos and melody lines really take the lead role together with Monique’s voice. While Dies, Nox et Omnia focuses on the band as a unit, with Omphalos the talents of each individual musician comes out. And they are talented! Monique has a wonderfully pure and powerful, classically trained voice with an impressive range. One of the strong-points of Cesair. 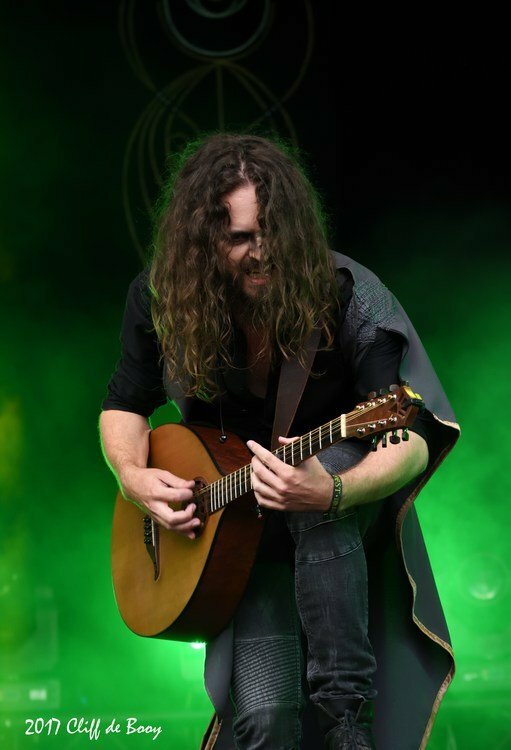 In this more open sound Thomas Biesmeijer really gets the chance to colour the music with his guitar and bouzouki chords. This new sound also means Jan de Vries can shine more as a percussionist. His drums don’t disappear in the overall sound, but are a main feature. Just listen to him drive to music on Troll Kala Mik. With Dies, Nox et Omnia Cesair took us on a journey through classic texts and history. Quoting and interpreting passages of Babylonian, medieval Dutch, 7th century Greek and 16th century Spanish texts to name a few. On Omphalos, Monique takes us with her on a similar journey through old and modern literature. The inspiration while writing this album came from the Roman poet Quintus Horatius Flaccus (a.k.a. Horace), the Spanish poet Federico García Lorca, the Romanian poet George Coșbuc, some anonymous sources and the poetic Edda, an anonymous collection of Icelandic medieval poems. As always I don’t want to go through all the songs on the CD. It’s way more fun to discover the music yourself without me spoiling everything. But still, here are some I really wanted to high-light. Erda, the first track of the album: a first class earworm. Straight away, the more open sound of this album works it’s magic. Monique and Sophie shine in this song. As said, Monique is such a skilled mezzo-soprano, she impresses throughout the whole album, as does Sophie. 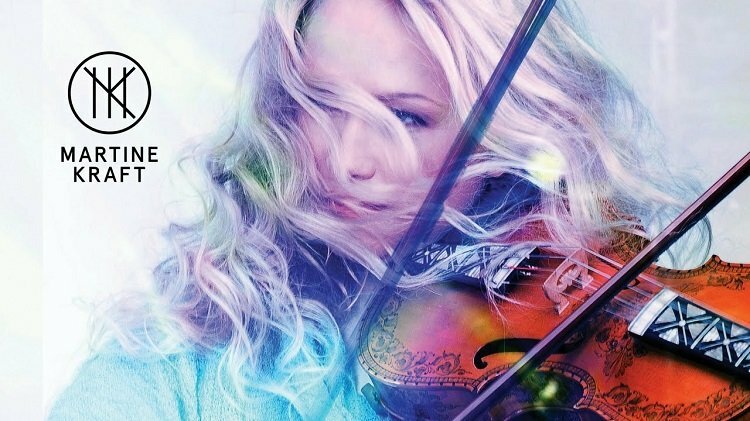 Hearing her taking the lead solo so clearly and often, I suddenly realise how amazing she is as a violinist. Stunning. In all, if you listen to Erda and like it, you can safely buy the whole album. The song is a perfect representation of Cesair anno 2017. Many of you will already know Chorihani from various concerts: a cheerful, fast song with, again, a beautiful solo from Sophie, this time straight from a gipsy party it seems. 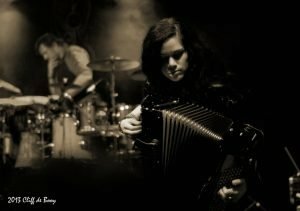 Good old Fieke and her accordion make it even more Eastern-European. Troll Kala Mik we also know from the Cesair concerts. It´s a duet (or is it a duel?) between the beautiful poet Monique and the ugly troll Thomas. Pick your own favourite, but mine would be… …Jan. His percussion work is the foundation of this song. You could even say he plays the lead instrument on this. Another duet is Ahes. It’s Cesair’s interpretation of a medieval love story from Brittany. It tells of a forbidden love between princess Ahes (a.k.a. Dahut) and a lover she invited in, before being married. A great sin in medieval times. Of course the whole city was punished and swallowed by the sea, as would happen in old times. Faun‘s Stephan Groth takes on the role of the lover from the ocean, who persuades Ahes to open the gates of her city. A guest appearance to look forward to should Faun and Cesair play the same MPS festivals the coming season. Mardochaios is the Greek name for the Mesopotamian god Marduk. The song is an anthem for him, again driven by the powerful drums of Jan, followed by some beautiful violin melodies and vocals. My personal favourite song of the album. Yet another song that has an interesting musical feel is Boudicca. The intro with the strong, almost threatening, male/female vocals make it sound like an menacing Enya or Clannad on their very best days. Sophie´s violin solo pulls you straight back into the Cesair world but the song keeps that eerie feel to it… A real tribute to the lady who dared to defy the Romans. As i said, I could name all the songs because they all are equally good. Omphalos is an album that you need to get if you love an impressive mix of classical and folk/world music. It’s an album that will mesmerize you, make you want to play it again and again. One piece of advice: play it loud and get the whole impact of the album. It’s going to be worth it. At full volume is where the true beauty of Omphalos appears in all its glory… or live on stage of course!! Six years ago on December the 21th 2011, the day of the winter solstice, EMIAN was formed. To celebrate that moment, we have decided to write an introduction for their latest album Khymeia. Way overdue of course, but better late then never. From the moment I put Khymeia, the second album from the Italian Pagan Folk band EMIAN, in my CD-player, it started to grab me. At first it surprised me, then their music started pulling me in… note by note. By the time the 5th song La Cama Nupcial was playing there was no turning back. I was hooked! The musicality, the originality, the talent. This is a CD well worth buying… But now I’m getting wàààày ahead of myself, so first things first. 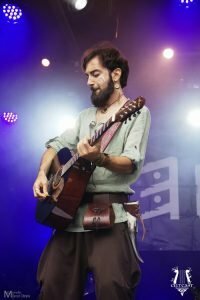 EMIAN is a 4 person Pagan Folk band from Italy. 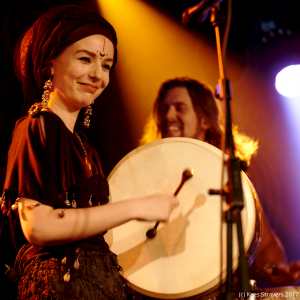 As it was formed at the winter solstice 2011, it’s no big surprise the band get its inspiration from their own southern Italy Pagan roots, Mother earth, nature and ancient cultures. 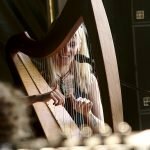 They do so with songs by their own hand, inspired by Celtic, North-European and Mediterranean folklore, and songs they collected from those periods, be it in Italian, Finnish, French, English or Gaelic (Both Scottish and Irish Gaelic), taking influences from shamanistic chants to medieval ballads. 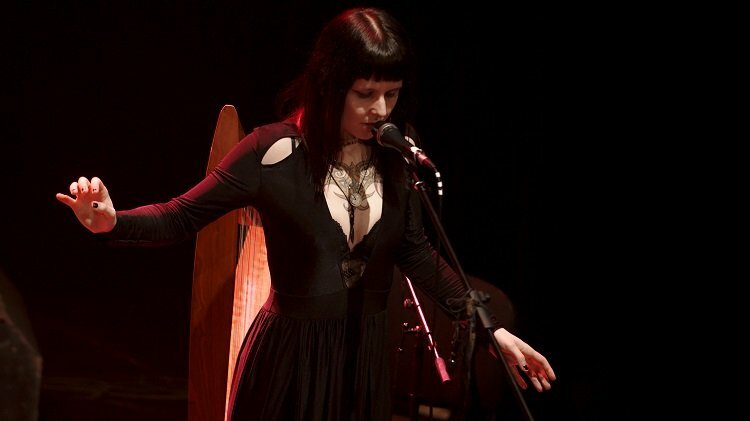 – Aianna Egan (Anna Cefalo) on vocals, celtic harp and castanets (those are fun). – Emian Druma (Emilio Antonio Cozza) on vocals, hurdy gurdy, nyckelharpa, fiddle, flute, percussion, medieval bagpipe and the Persian santur, an instrument that looks a lot like a hammered dulcimer. – Rohan (Danilo Lupi) on acoustic bass, Irish bouzouki, the tin and low whistle and backing vocals. – Mártín Killian (Martino D’Amico) on drums, percussion, guitar and backing vocals. The intro song Tribus Hirpeis is followed by a vocal piece written by themselves. Hyria starts with an enchanting harp melody supported by the Persian santur, giving the song a Greek feel. Anna quickly joins in. She has a beautiful warm yet strong voice. A pleasure to listen too. After this ballad-esque start the acoustic bass joins in, giving the song a surprising modern feel. 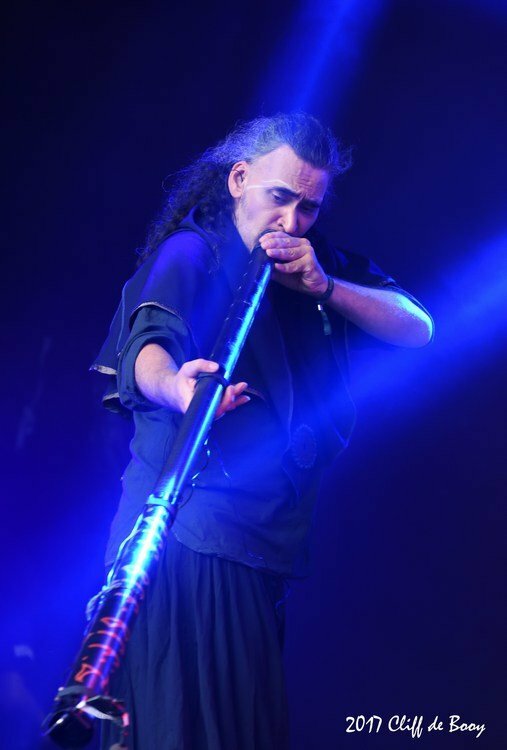 This in contrast to the use of the tribal bass sound from the didgeridoo, well-known from other Pagan Folk bands. Surprising at first, but it actually fits perfectly. With the violin joining in with the harp melody, the band captivates you. Without warning you drift into Khymeia‘s musical world. One you will enjoy. La giga del lupo starts with a Celtic harp jig that takes me back to the Pagan folklore days of OMNIA, but a loud ‘yehaa’ brings in Emilio’s violin. Playing a lovely Irish folk melody and making it into a perfect instrumental Balfolk dance song. Short, but therefore more powerful. Rebys is a strong, cheerful and up-tempo song with Spanish Sephardic lyrics, driven by the rhythm of the drums. The Italian language just works wonders in this style of music. Again Anna Cefalo shows she is a really good singer, but she is not alone. It becomes clear that all the band members are talented musicians. A lot of things are happening in the music: harp, Irish bouzouki, hurdy gurdy, percussion, castanets, but also musical breaks, sudden twists in the rhythm, it’s all there. This is really a CD you want to listen to with headphones, just to be able to hear everything that’s hidden in the music (or play it very loud in the living room… when the neighbours are not at home). Midway through this song there is a sudden break in the music, taking it back to only Anna Cefalo’s voice and harp, before the band kicks in again. This build-up is repeated at the end of Rebys. The next song La Cama Nupcial starts off as if it’s another break, with only Anna’s harp again. If you wouldn’t look at your display at that point, you would certainly think you were still listening to Rebys. Brilliantly done. It clearly shows EMIAN’s compositional skills. La Cama Nupcial itself is a beautiful duet between harp and flute, a bit like the instrumental duets Sowulo are known for. I always make notes while listening to an album for a review, and at this point I wrote: “I’m now officially hooked!”. 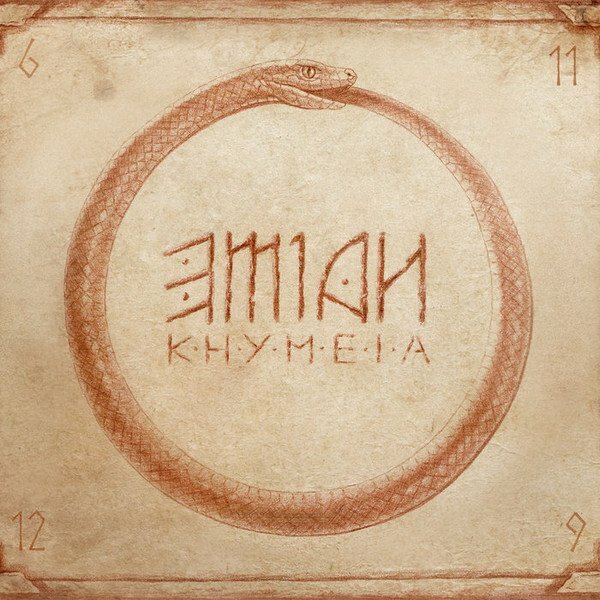 Khymeia is a beautiful album that fits well in the realm of OMNIA, Faun, Sowulo and Rastaban. Not that EMIAN is a copy of any of those bands. They have their own unique style. It’s just to give you, the listener, an idea of what to expect. The first song not written by EMIAN themselves, and the 6th on the album, is El Viaja de Maria. To show how diversely skilled the members of EMIAN are, it starts with a bit of overtone singing by Emilio Cozza. This is a singing technique where you sing a low tone while making an ‘oe-oo-eu’ sound. When a singer is skilled and has had a lot of practise, his or her vocal chords can make a second tone, higher then the first. The song itself is a well-known traditional (In Extremo recorded a nice version), but EMIAN re-arranged it so it fits their style perfectly. The long instrumental intro will draw you into the song. Níl Sé’N Lá is actually a Scottish Gaelic song but in the arrangement of EMIAN it becomes a Greek traditional, driven by the percussion. Weird in a way, but it works. It works really well actually. It’s something that EMIAN does so well: they blend their influences together, not only in their song choice alone but also within the songs themselves, making them way more interesting. I’ll stop here because I don’t want to give away every song on this album. It’s much more fun to get Khymeia yourself and start discovering EMIAN’s musical world . Just listen to the instrumental song La Gavotte for instance. A fun French Balfolk song that, again, finds itself somewhere between the music of Omnia and Faun. Chêne blanc is another up tempo, instrumental dance song. My personal favourite. Kuulin Äänenn is a Finnish (!) ballad, beautifully sung by Anna and Martino D’Amico, but then, halfway, turned into a cheerful Balfolk song. Listen to that flute solo in the end! Surely this song is the high-light of every concert they play. My last personal tip is Le Due Sorelle, an Italian translation by Anna Cefalo of the famous song The Twa Sisters. I have to say the Italian language is very suitable for a ballad like this. With Khymeia, EMIAN has put themselves right in the top of the pagan folk scene. In my eyes a must have album for everyone who loves this particular style of music. The latest (and last) Helisir CD ‘SPIN’ came out this September and it’s a gem! But first let’s introduce Helisir a bit more. Helisir is the musical project and brainchild of Jacqueline Stempher. It started out as an idea for a book based around the fictive Nordic land Helisir, a Nordic equivalent of Avalon where the old Gods in ancient times met. Over time their stories were set into music by Jacqueline and they ended up on the first Helisir album ‘Ravn’. 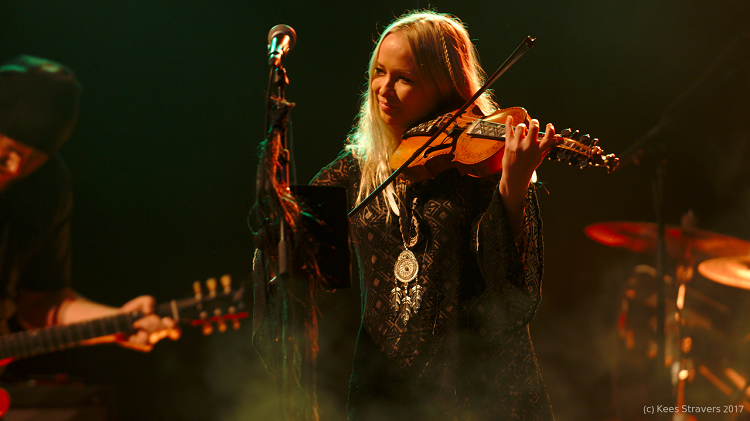 It was produced by Jacqueline herself and could best be described as Nordic influenced ambient Pagan music. All instruments recorded were played by Jacqueline herself. In 2016, a mini CD came out called ‘Sårbare’. It was recorded at the Dear World studio by Fieke van der Hurk and featured Jacqueline on harp and vocals in an all acoustic setting. 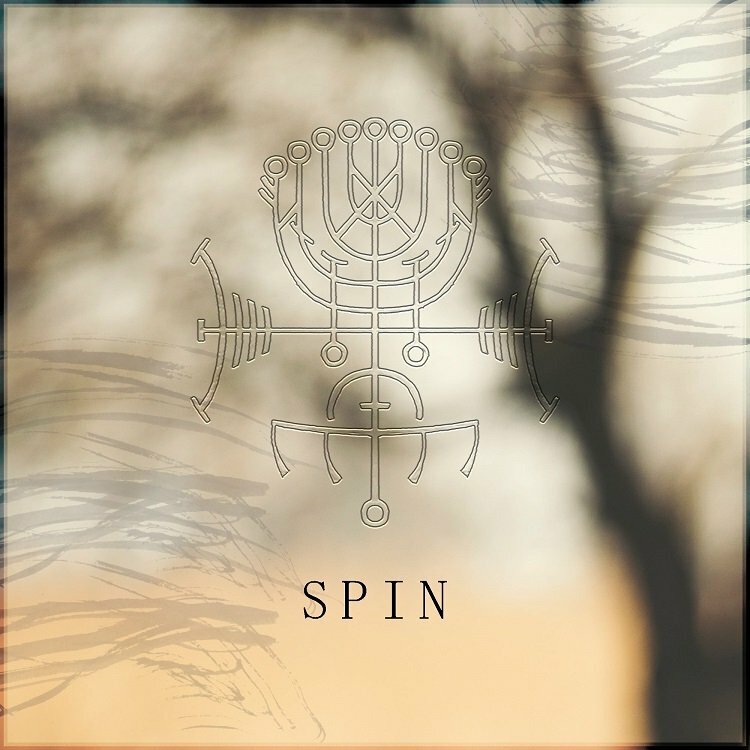 Now the third album ‘SPIN’ is finally here to conclude the Helisir story. Jacqueline’s last Facebook livestream from the Netherlands, just before moving up North. From the first seconds of ‘The Tide’ it’s clear this album is all about Jacqueline’s beautiful voice. A crossover between the laid back, fragile way of singing of Dido, the strong sound of Anneke van Giersbergen (ex-The Gathering, Ayreon) and a touch of Sara Weeda (SeeD, ANÚNA). In her lyrics Jacqueline stayed close to her heart, making this her most personal album. She has put the feelings and fears she went through the past years in beautiful musical poems, partly in English, but also some in Dutch. Listen to ‘Done’, ‘Lighthouse’, ‘Ashes’ or the Dutch title song ‘Spin’ and you’ll hear how personal her lyrics have become. Jacqueline composed all the music and Christopher Juul arranged all the songs and took care of the instruments, so Jacqueline could focus on the vocals. He managed to make the music work as a supportive partner to Jacqueline’s voice, enhancing the lyrics instead of the instruments taking over. Those who love Euzen will recognize his style with those subtle touches making the music interesting and ‘SPIN’ a CD well worth buying! 1. That somewhere in the future, Jacqueline will team up again with Christopher to make more music. It would be such a shame if that would never happen again. Martine Kraft (34) is a Norwegian musician, singer and composer. Her main instrument is the Hardanger fiddle (in Norse: Hardingfele), which is called the Norwegian national instrument and is named after the area it originates from, Hardanger. The first known one was made in 1615. 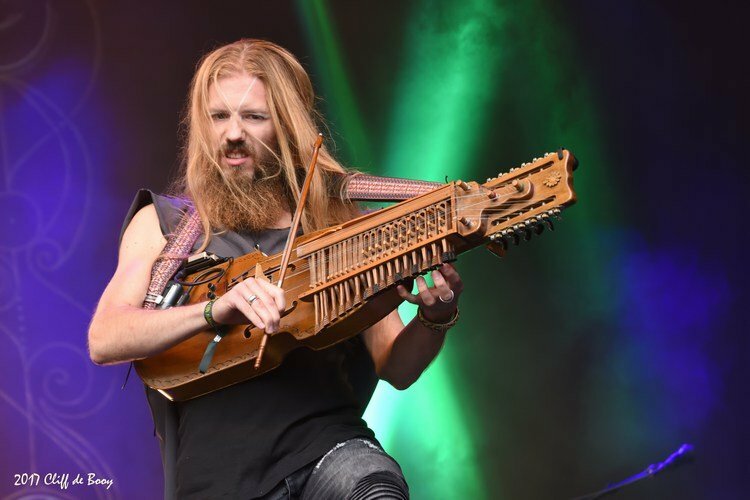 The Hardanger fiddle is quite similar to a ‘normal’ violin with 4 strings that are played with a bow, but under the 4 strings are another 4 or 6 which are lead through the bridge under the ‘main’ strings and which resonate with the upper strings. Traditionally the Hardanger fiddle is richly decorated with carvings, Mother of Pearl inlays and black ink decorations called Rosing. 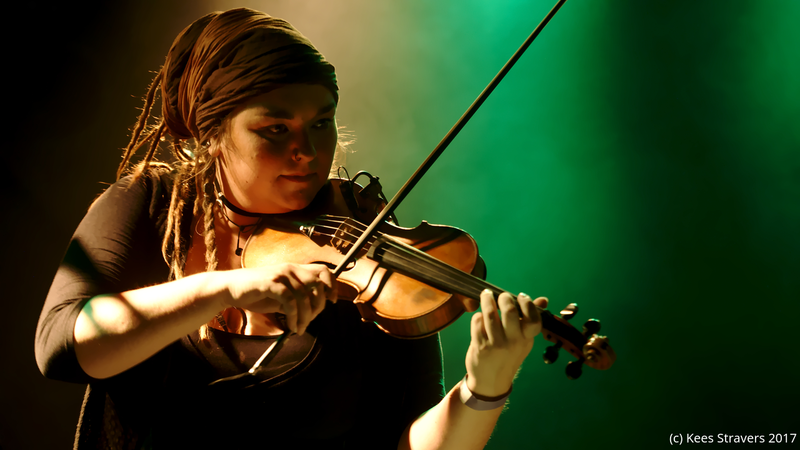 Martine’s personal Hardanger fiddle, called ‘Huldrefela’, was given to her by the Norwegian Hardanger fiddle fund, in recognition of her work to make this fiddle more widely known. It’s a 10 string Hardanger fiddle with a special tuning mechanism, making it easier to tune while on the road in challenging climates. It was made by the master violin maker Helge M. Bergnord. 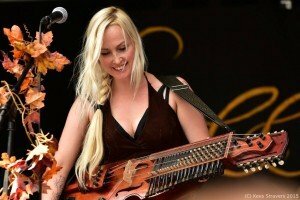 Martine also plays the nyckelharpa (a keyed fiddle and the Swedish national instrument), the ‘ordinary’ violin and the viola (or Bratsj as the Norwegians call it), which is a bigger violin with a deeper sound. Beside the violins she also plays several kinds of flutes. On stage as well as on her album, she is accompanied by her Martine Kraft band consisting of her life partner Nils Jørgen Nygaard Kraft on guitar and keyboards (among other things), Stig Enger on electric guitar, Jon Karlsen on bass and Freddy Wike on drums. Her fifth album ‘Huldreblod’ was recorded in the Enger studio with Stig. He also co-produced the CD together with Nils Jørgen. Martine wrote all the music for the album and almost all the lyrics. Nils Jørgen wrote them for the tracks ‘Huldreblod’ and ‘Himmelfot’. 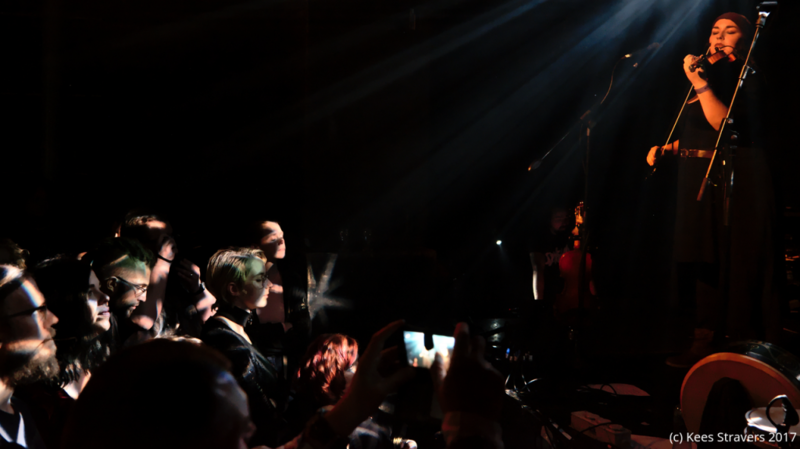 The second song, ‘Sølje’, is a ballad. A Sølje is a piece of Nordic jewellery, in this case left by Huldra on a path for a young man to be found. Here we hear Martine’s voice for the first time and it is a unique one. High, a wee wee bit hoarse and very young in tone, delicate and fragile, which fits the music really well. 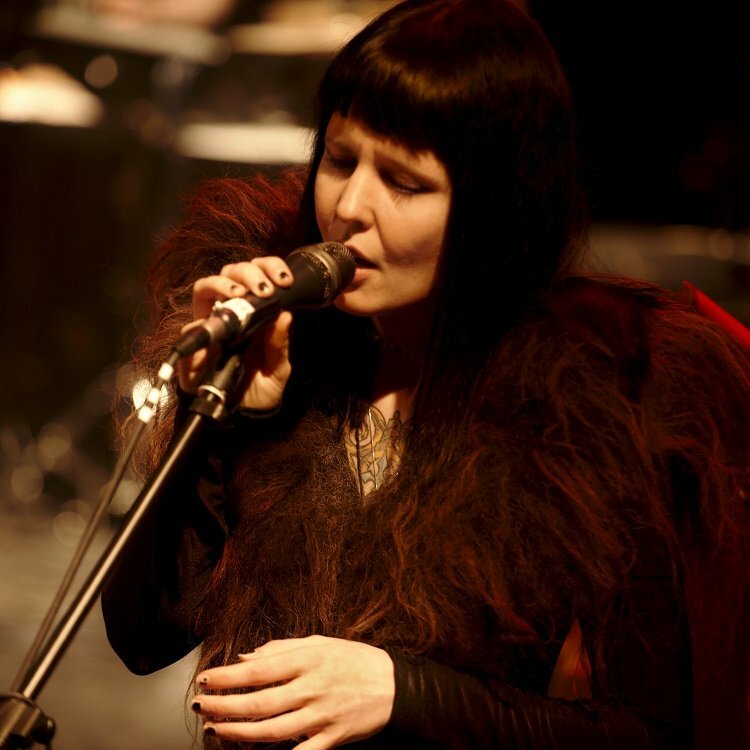 Martine uses her voice in the same way as Ágnes Tóth (The Moon and the Night Spirit), to enhance the feel of the music she makes. It starts out really gently with only piano, showing her music is about the songs. Not a violin extravaganza. The violin only comes in on the second part of the song with a powerful musical break, kicking this into a pure power-ballad. ‘Frikar’ starts out with a keyboard intro that, very shortly, reminds me a bit of Euzen. It’s a pure Prog-rock intro actually, but then the violin steps in and the music takes a 180° turn into a pure up-tempo Folk song. A tribute to the toughest Norwegian traditional dancers, the Frikar. Next ‘Villvind’ starts with a jazzy, jumpy piano intro?! By now it’s getting clear that Martine’s music isn’t straight forward. She likes to tease us listeners, keep us surprised, putting us on the wrong foot, while the music stays catchy and fun at the same time. Impressive. The song goes on as an instrumental, bit jazzy violin improvisation (or at least it feels like that) again within that Prog-rock style. Especially when the music builds up beautifully from a real gentle, fragile violin improvisation into a climax, lead by Stig Enger’s electric guitar. Short, but oh so powerful (and my head suddenly goes ‘Hello, Dream Theater‘). At this point it’s also clear that the whole band excels on this album. Just listen to Jon Karlsen’s bass-line on ‘Villvind’. ‘Nar dagen hviler’ is a second ballad. Starting with a moving, Gypsy like violin solo and Martine’s special fragile voice we are drifting away in moon filled dreams. An ambient, dream-scape kinda song. Which brings us to our Monthly Marker, ‘Himmelfot’. Here I quote Martine from the introduction she wrote in the booklet: ”My child was born with a birthmark shaped like a cloud on his foot. This song ‘Himmelfot’ means ‘sky foot’ “. The song starts with the sound of child’s play, and a balladesque intro… but then jumps into a cool cheerful ‘Norwegian’ jig. Bring out the Balfolk dancers! 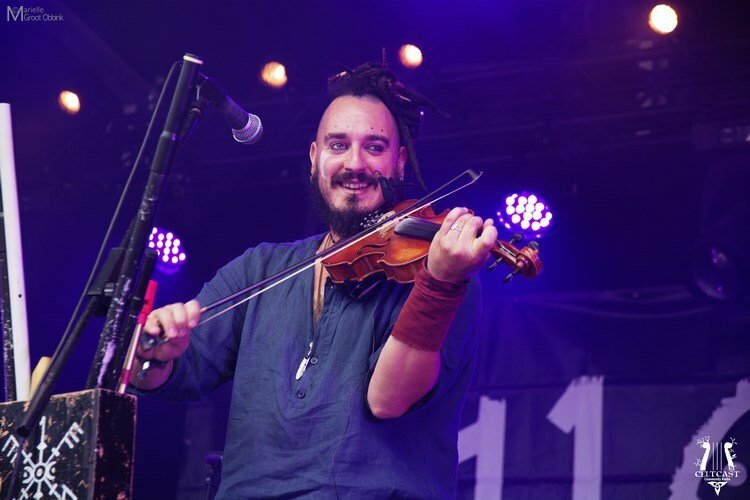 ‘Solefall’ is a nice mid-tempo Prog-rock song featuring the violin again. With a nice vocal display from Martine to top it off. ‘Mørketid’ is a beautiful ballad. 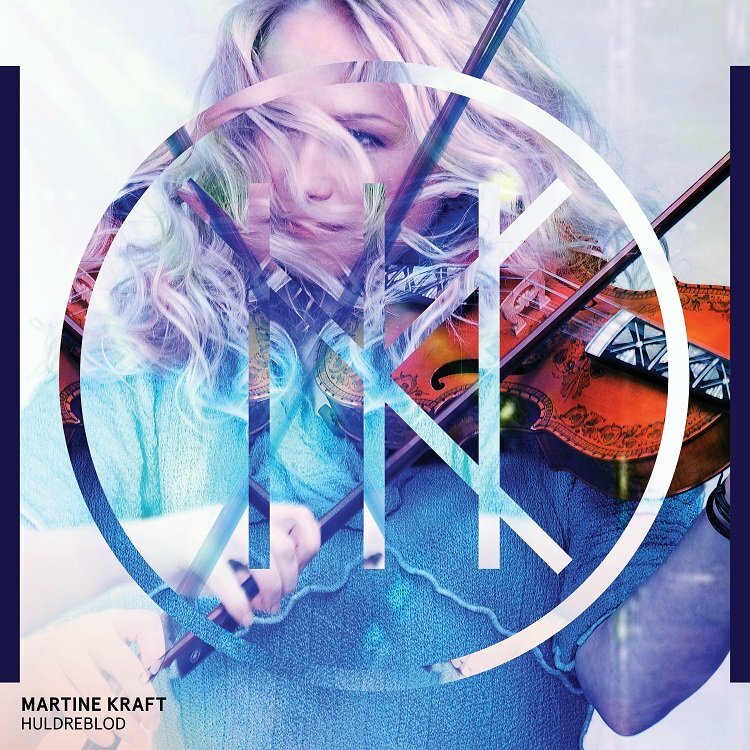 It is one of the more personal songs on ‘Huldreblod’ for Martine, judging by her intro in the booklet. And you can hear it. Just read her intro in the booklet and flow with the music. A special mention to the male ‘Joik’ * on this track. Just another part of the musical diversity of this band proving how they are able to blend Norse (Nordic) traditions into modern songs. ‘Djeveldans’ and ‘Nidhogg’ are up-tempo instrumental Prog-rock songs again. Beautiful, with the violin taking over the role of the electric guitar solo’s. Keeping the sound really clean yet powerful. All kind of musical twists are in there again, as it should be in progressive music. Piano, choirs, breaks… it is all there. Special mention in this case to drummer Freddy Wike in ‘Nidhogg’. He gets his chance to shine with some impressive double bass drumming. Oh and did I mention the trombone in this song already?!? After all this pure energy, the album ends with the ambient ballad ‘Ravn’. Again, in the booklet, Martine gets real personal in her message to us, the listener. Sharing with us her wishes for future times. Again you can hear it in the music. ‘Ravn’ becomes a beautiful ending to ‘Huldreblod’. An album I really fell in love with during the listening-sessions for this introduction. 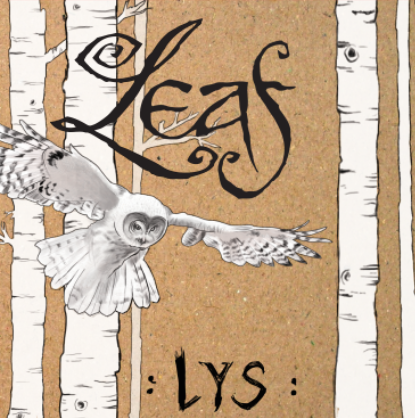 Long awaited, and now it is finally here: The new album of L.E.A.F. called Lys! Recorded, mixed and mastered throughout the year, today is the day that Kati Ran will present her latest musical endeavour to the world. LYS is the brainchild of Kati Ran, but there were many others involved. The album was produced by Christoffer Juul at LAVA studio in Denmark, and both Christoffer and Maria Franz of EUZEN perform on the album. 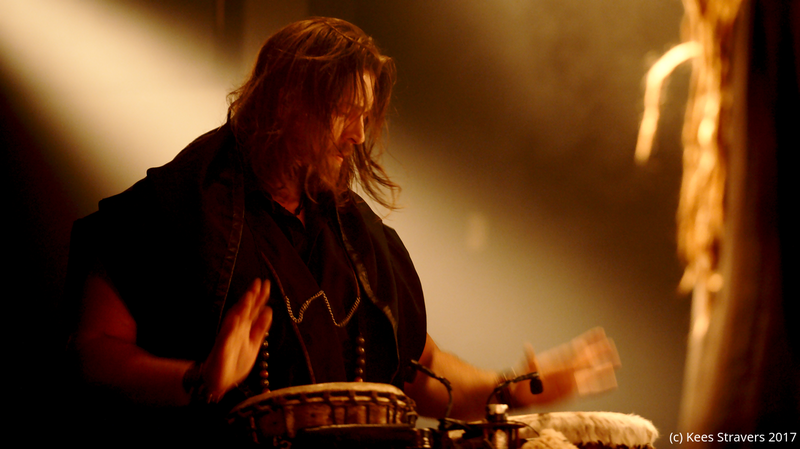 Other guest musicians include Kai Uwe Faust of HEILUNG and Oliver S. Tyr of FAUN. It is an album that is full of deeper meanings, old and ancient poetry, shamanistic rites, and it comes off as an album that was written straight from the heart! Combined with some very nice artwork by Charlotte Boer it has most certainly become a beautiful total package! Right away this track opens the album with Kati’s clear and warm voice. The song sounds like an intro, a promise for the rest of the album. 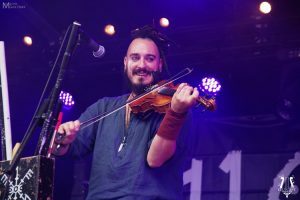 The lyrics of the song are by Kati, but with components from Atlamal and Gripisspa, two of the Eddic poems, immediately showing that this album is more than “just music”. Sol means ‘Sun’, which as the booklet explains has always been very important. The song to me is about man’s journey through time. Like the previous song the lyrics are written by Kati, but this time it contains verses of the poem ‘Let the Light Enter” by Frances Ellen Watkins Harper. The music starts off simple, but more and more layers get added as the song progresses, which to me can represent not only the seasons of the year, caused of course by the sun, but this can also symbolise life, as it starts off simple but as we grow older we add more and more complexities to life. The start of this song feels deeply spiritual. When the percussion comes in it provides a lot of depth in the sound and slowly but surely it grows into a song with quite a massive presence. Ran is the Goddess of the sea but also Kati’s stage name. Our first ever Monthly Marker and it has been a part of our playlist ever-since. Terveh is a song in an old Finnish language from the Karelian area, and it’s an old Scandinavian rite to contact and communicate with the spirits of the neighbouring forests. As far as the music goes it does have more of a “modern” feel than what you would expect of something so ancient. The hand of Christoffer Juul (Valravn, EUZEN, LAVA studios) is clear in this song. Powerful in the low end, very melodic in the vocals. A remake of Under Nymanen from L.E.A.F.’s earlier EP. This was my personal favourite then, and the song that made me fall madly in love with the vocal quality of Kati Ran, and so I’m happy that this song was selected for a remake. I can say that the song hasn’t changed an awful lot fortunately, we can just hear that it has matured and has become somewhat more powerful. A very laid-back type of song. Slower, with a dreamy quality, it makes you want to close your eyes and just drift off. The song was written by Maria Franz (Euzen) when she was only fourteen, and indeed Maria sings this song as a duet with Kati. I don’t speak Danish, so I can’t really attest to that, but the English translation certainly does have a very poetic feel to it! The title of this song is in Old Norse and the lyrics in German, which would then make the 4th or 5th language on the album, none of which are Kati’s native tongue. If nothing else this emphasizes the international aspect of this album. The song takes the listener deep into a dream-state, with a very nice continuous rhythm and heavy reverb on Kati’s soothing vocals. Suurin is another traditional rite from Finland, and the shamanistic properties of the song are evident from the start. Strong drums and a powerful chant, and the power just keeps building up during the song. Even though the song itself doesn’t reach a clear climax, I can certainly envision people reaching a level of ecstasy from this song when performed or played in the right circumstances. 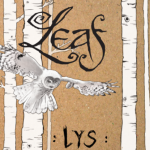 LYS starts off as a Galdr, an ancient form of song intended to conjure magic. I have been fortunate enough to have seen this song performed live on stage at Castlefest during the combined L.E.A.F./SeeD show, and it certainly felt magical! What a sense of power coming from that stage! And I will admit, even the recorded version gives a similar power, which is not often the case. From start to finish this track speaks to the primal part in my soul with the carefully crafted Galdr text and the massive power from the rhythm. As a favourite track I would have to go with Harpa Toner this time. I love the music, the range between the highest highs and the lowest lows, and to be honest I love these kinds of older folk tales. Thank you Kati for breathing life into this one! Overall the entire album merits taking the time to put on some headphones, or switch on a very high quality stereo when the neighbours aren’t around, and really experience it. Many of the tracks have poetical, lyrical qualities that deserve your undivided attention. I would say: Listen to the album in that way once. Then, if you don’t have all of the knowledge at hand, get on-line, dive into books, find out as much information as possible about all of the topics that this album holds. Find the parts of the Poetic ‘Edda’ that Kati used and bring their context into the experience. Find the poem “Let the light enter” by Frances Ellen Watkins Harper and do the same. Envision yourself a part of the Shamanistic rites. And then listen to it again several times. This album is much more than music. To be honest, while that is an amazing achievement, it is also somewhat of a curse. I don’t see LYS ever playing in my car while driving, or in my house as background music. You really want to be able to focus completely on all the layers that Kati gives you. That being said, I am ecstatic to have this album as part of my collection and I really believe that anyone who is into Nordic folk, Nordic mythology or Nordic religion should go out and buy themselves a copy!